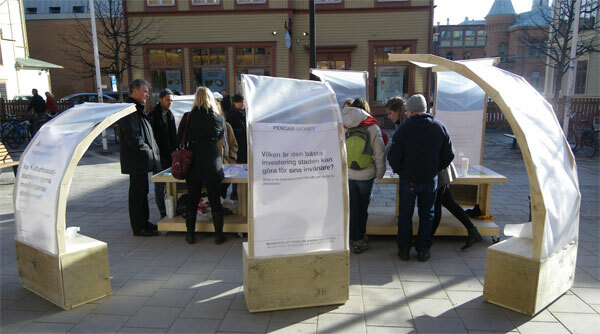 a space for exhibition and exchange of knowledge about the transformation of the city of Umeå. It will draw on from a methodology previously developed by Sitesize that we will refer to as SIT (Servicio de Interpretación Territorial) (Territorial Interpretation Service) and will ultimately aim at constructing a collective place. Carrying out an urban action that starts a dialogue around the transformation of Umeå in relationship with the “Kulturhus” project and Umeå2014. Analyzing a specific place in the city that is subject to urban transformation, reflecting on the discourses and issues that are part of such process. Articulating then a collective critique and citizen debate in defense of common interests. 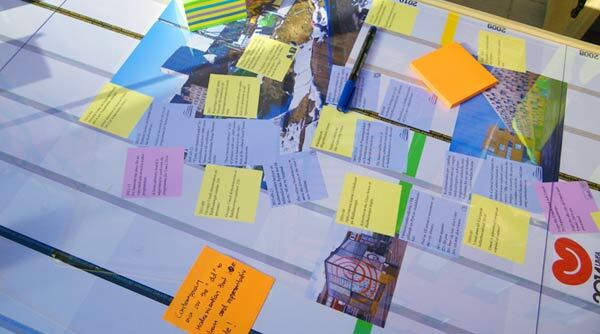 Selecting and editing urban-related documents and information to be shared with other citizens in order to generate an open space for discussion. Designing and building a mobile device for communication and interpellation to be installed and used in public space. Making an action-place for encounter, exchange and communication in one or several chosen public spaces taking into account the context of the “Kulturhus” project and the participating agents. analyze and question the development of contemporary cities. 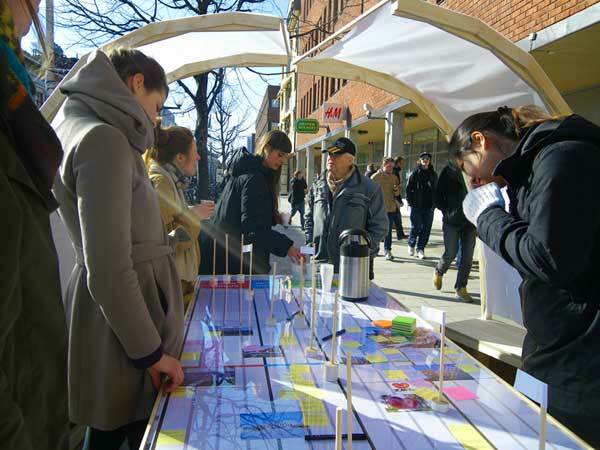 On the basis of the SIT methodology, we will deal with some of the territorial controversies and struggles around Umeå in order to look closely at the ability of urbanism to change our lives. The focus on a hot spot of the city will allow us to find and track ways in which the contradictions of the economic system in relationship with its planning and design can be made evident, as well as to devise alternative types of responses based on the analysis and needs of its citizens. The construction of the a new cultural centre in Umeå in relationship with its being the European Capital of Culture in 2014 responds to the always renewed need of neoliberal urbanism to create new and strategic points for the investment of financial capital and their subsequent gentrification. In front of such an imposed market logics, we stand for a culture that allows us to circulate and share the knowledge we have of the places we inhabit. Another kind of mutual citizen help that keeps other visions and experiences of the city alive and possible. Urban planning is too an important task for it to be carried out solely by politicians and experts. Another urbanism understood as open-source and aiming at the production of a socially livable city concerns everyone.